This review of Estonia’s energy policies analyses the energy policy challenges and opportunities facing Estonia, and provides critiques and recommendations for future policy improvements. 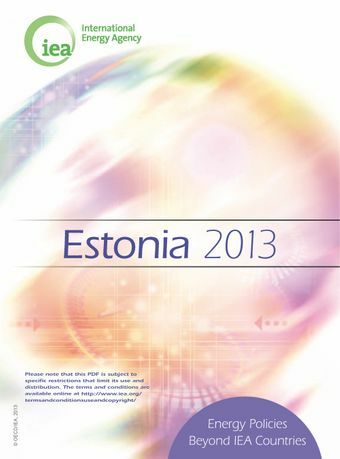 It finds that Estonia is actively seeking to reduce the intensity of its energy system. Many of these efforts are focused on oil shale, which the country has been using for almost a century and which meets 70% of its energy demand. While it provides a large degree of energy security, oil shale is highly carbon-intensive. The government is seeking to lessen the negative environmental impact by phasing out old power plants and developing new technologies to reduce significantly CO2 emissions.The efforts on oil shale complement Estonia’s solid track record of modernising its overall energy system. Since restoring its independence in 1991, Estonia has fully liberalised its electricity and gas markets and attained most national energy policy targets and commitments for 2020. It has also started preparing its energy strategy to 2030, with an outlook to 2050. Estonia is also promoting energy market integration with neighbouring EU member states.